Organizational culture and the management/leadership style makes all the difference for the agency and its members. It should become instinctive for any organization – be it a private entity or in the public sector – to invest on leadership training for its current leaders and its staff who will become the future’s leaders so that the agency itself becomes the best it can be. Back on Justice Clearinghouse is Dr. Jeffrey Fox to talk about leadership paradigms – including the attributes and practices that characterize good leadership. Dr. Fox is a public safety trainer and the founder of Fox Public Safety. His experience working in criminal justice for more than 2 decades in different roles enabled him to pursue a path in the academia as an educator for the field. What paradigms are and the roles they play in people’s lives. The people and thing paradigm and how the integration of these two concepts based on the circumstances create well-rounded individuals and leaders. The concept of satisficing and how people practice it by coming up with the easiest and fastest decision so they do not appear irresolute. Overcoming learned paradigms through personal mastery and introspection. What kaizen is, the basic principles kaizen operates on and the kaizen cycle that needs to be a part of our daily lives. The kaizen leader profile that leaders must embrace to improve themselves and become better examples for subordinates. What a paradigm shift is, how to recognize if an actual shift is happening, and looking at paradigm shift as it relates to the 7 Habits. Personal competencies of self-awareness, self-regulation, and self-motivation. Social competencies that highlight social awareness and social skills. The 7 styles of leadership and the Lead Now! Leadership Development Model that leaders must assimilate depending on the situation to become a balanced leader. 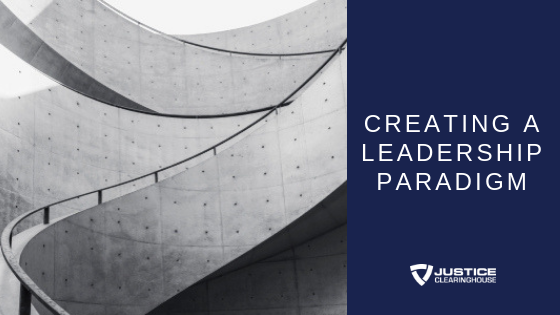 Leadership core competencies and the 14-point plan for Top Quality Management that leaders must familiarize with and embody. The leader-follower dynamics and the disparity between leaders and managers. The importance of attitudes in leadership. Why some individuals do not always want to become leaders. How leaders can implement change in an organization. Tools that may be utilized to practice introspection. Using journaling as an introspection method. The next steps to take upon recognizing one’s personal leadership challenges. Making and taking the time to reflect. The difference of leadership in the private versus the public sphere. Working within an organization and leadership team with principles and practices that do not align to one’s personal paradigm.